It’s good to know how to heal dry skin even before the frigid temps hit. We are experiencing the first cooler days in quite some time here in the Chicagoland area. Right now the crisp, cool air is refreshing, but you know it’s just a preview of the bitter winter to come. Sponsored post by Mirum Shopper. All opinions are my own. Lotion – Not just any lotion, but healing lotion. Vaseline products contain deep healing moisture due to the wonder jelly they have been perfecting for 140 years. 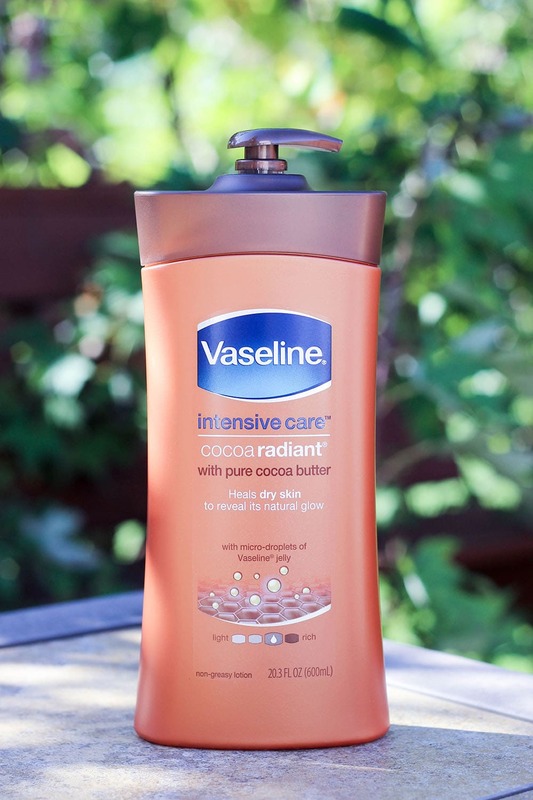 For example, Vaseline Intensive Care Cocoa Radiant contains micro-droplets of Vaseline jelly and pure cocoa butter. It absorbs deep into your skin to moisturize and heal dryness. There is no greasy feel afterward since it absorbs quickly. It’s best for dry skin, dull skin, and even cracked skin. The Vaseline Deep Moisture Tub is the choice for severely dry skin. It instantly increases skin’s moisture by 250% and keeps skin moisturized for 18 hours. It’s unscented, hypoallergenic, non-comedogenic and even idea for dryness associated with eczema! Of course, you cannot go wrong with Vaseline Petroleum Jelly. The classic jelly is triple-purified and 100% pure petroleum jelly. It protects from windburn and chapping, and even helps minor cuts, scrapes, and burns. Most of us grew up with the yellow tub, so we know it’s even a beauty tool. While you heal your dry skin, you can also reduce the appearance of fine, dry lines. Humidify – It’s time to sleep with a humidifier on. I don’t plan to wait for winter to increase the moisture in the air. Yes, we are just coming off of a super humid summer, but that humidity does wonders for my skin. Run a light humidifier, or even a diffuser so your bedroom doesn’t have a chance to get too dry. Hydrate – Drinking water plays a gigantic role in preventing dry skin. When it’s cold outside, the last thing you feel like doing is chugging a cold water bottle. Try to make a solid habit now of drinking a lot more water throughout the day. Cooler Showers – This one is so difficult for me since I like my showers to be scorching hot. But, all that hot water dries out your skin. Try to decrease the water temperature a bit each time you shower. Your skin will thank you for it later. Gloves – My hands are always the first to crack, so gloves are key. Start wearing gloves when it’s chilly. No snow required, wear them early, so the chill doesn’t have the chance to settle in. Now is the time to stock up on Vaseline products at Walgreens. Spend $10 on Vaseline products and get a coupon for $2.00 off Well at Walgreens first aid products. Limited quantity while supplies last. Offer expires 12/24/16. Only available on in-store purchases. Limit 1 Register Rewards® coupon per customer per offer. See coupon for terms, restrictions and expiration. If offer has purchase requirement, it must be met in a transaction, before taxes and after discounts, store credit and redemption dollars are applied. Did you know about The Healing Project? The brand that helps you heal your skin is also committed to helping others. Vaseline has partnered with Direct Relief, a humanitarian aid organization, through The Healing Project. The Healing Project provides care, Vaseline Jelly, and supplies to people affected by poverty or emergencies around the world. 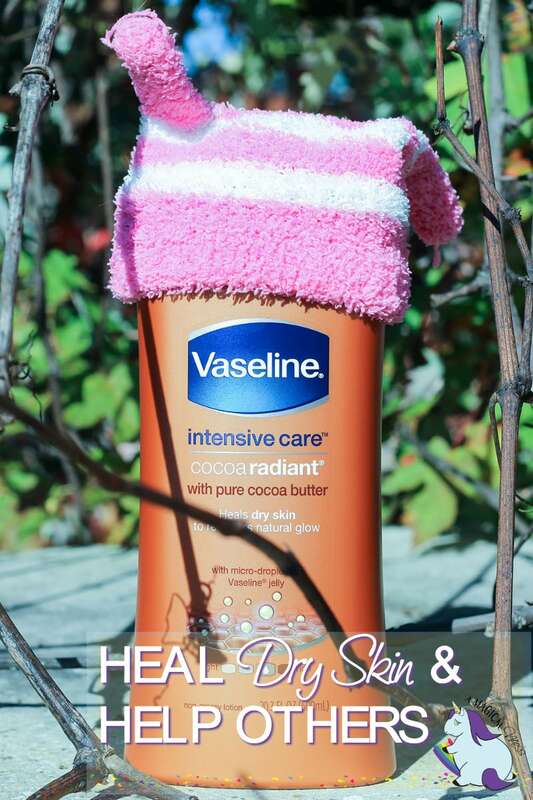 This fall, every purchase of Vaseline at Walgreens equals one healing donation. Do you have any additional tips on how to heal dry skin? My son battles with dry skin, particularly in the winter. I haven’t tried this one yet but bet it smells great. With living in the Northeast the weather drys out my skin so much!! This sounds like a great way to treat the dry skin of weather. Ah, we deal with so much dry skin and love the vasoline brand! Thanks for the coupon! I’m heading to Walgreens this weekend! Vaseline is such a great brand. We always have Vaseline products in our house. Thanks for the great coupon link. We’ll be sure to use it.